I hope you all had a great Thanksgiving!! We relaxed, ate way too much and decked the halls by putting up two Christmas Trees while watching the Thanksgiving day parade. Traditions. 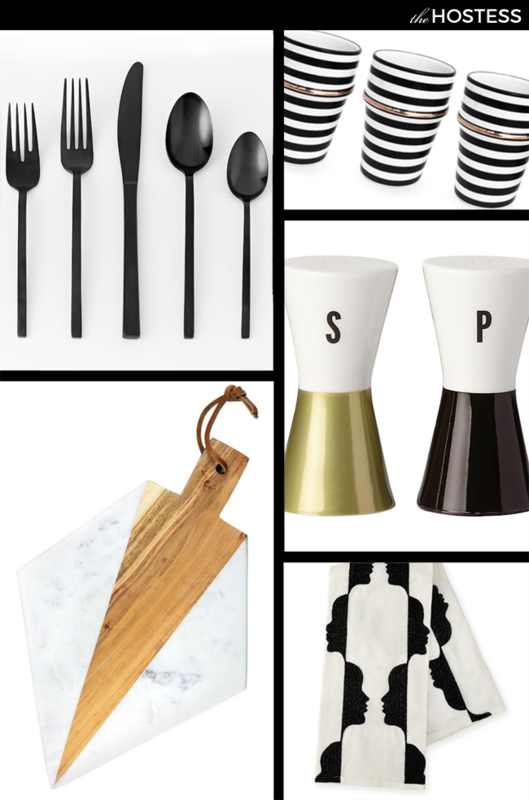 Today I wanted to share some great gifts for those hard to shop for people in your lives. You know you have them… you may even be one of them! If you are anything like me, just go ahead and buy your own gifts, wrap them & then act surprised Christmas morning. That way you ensure no pesky return lines on the twenty sixth! 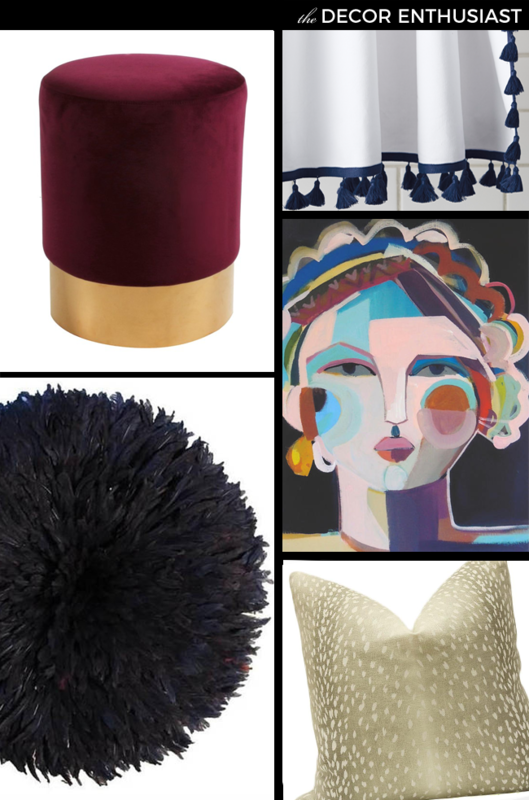 These are for your favorite hostess in your life… and btw, all of these are under $50. I am slightly obsessed with that set of striped mugs. 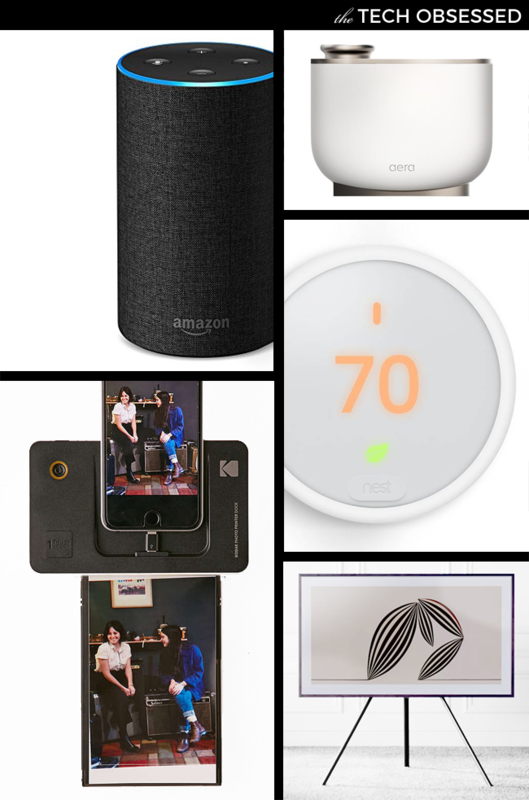 These are all tech savvy gifts. Three of which I use on a daily basis. I love our Amazon Echo… And now I love it even more. I plugged all of our Christmas decorations into Smart Outlets and now I simply have to say “Alexa, turn on (or off) Christmas.” and bam. Lights are on. We also have our Nest Thermostat hooked up to our Echo and I am slightly jealous it comes in so many color options now. The white is great. Another smart device I have been loving lately is the Aera for Home. Aera is a scent diffuser that hooks up to your phone. You can program the schedule that your scent will fill the space, see how much of your scent is left and even purchase refills when you are running low. The device and the scents are an investment, but the scent pods will last you months! And they are easy to change out to if you feel like switching scents before one is complete. My favorite scents for the holiday are Glow and Snowfall. And for everyday I am loving Indigo and Mosaic. And that Samsung Frame TV is on my list to Santa. The concept is simply genius. 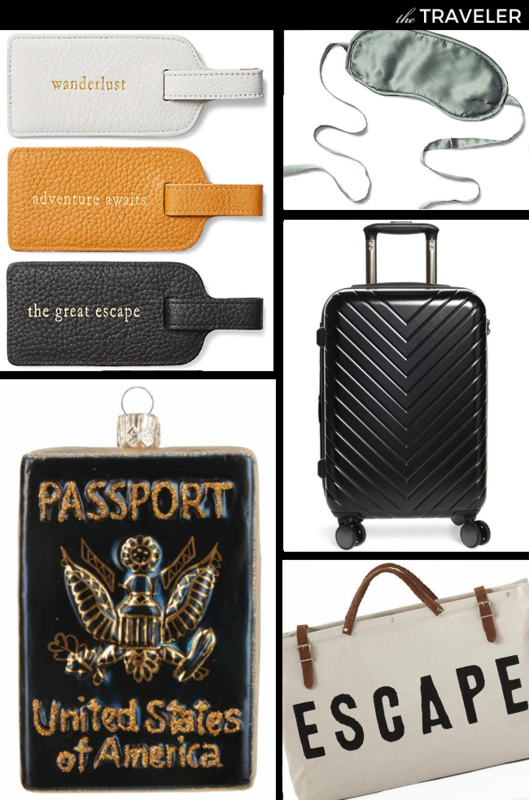 Everyone has a traveler in their life, and those luggage tags would make a great stocking stuffer! Of course I had to share some decor based items as well. 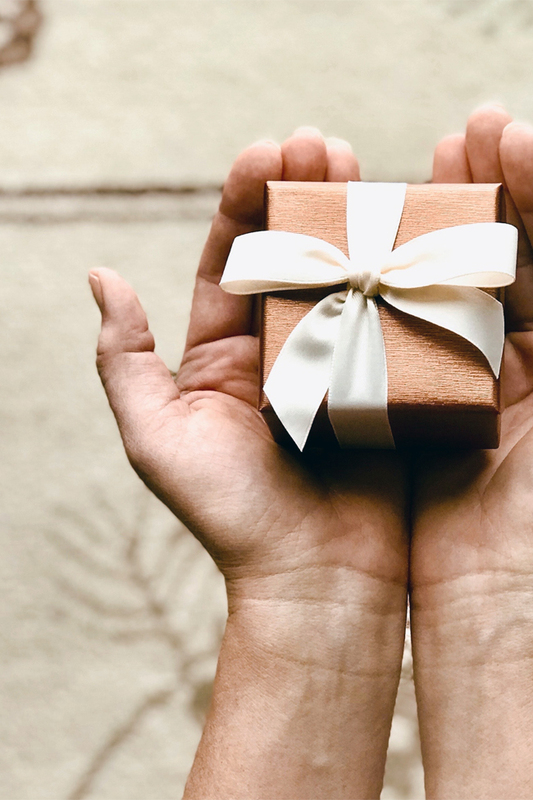 Along with these gift ideas, here is a list of some of my go to sites & the deals they are offering for Cyber Weekend.